Community Yoga is… like a good friend; warm and accepting but not afraid to challenge you. The pose I love the most… I love humble warrior. It is a good heart opener, but I also love what it demonstrates; a warrior who bows with their hands bound behind them, to me it's a pose that encourages peace. 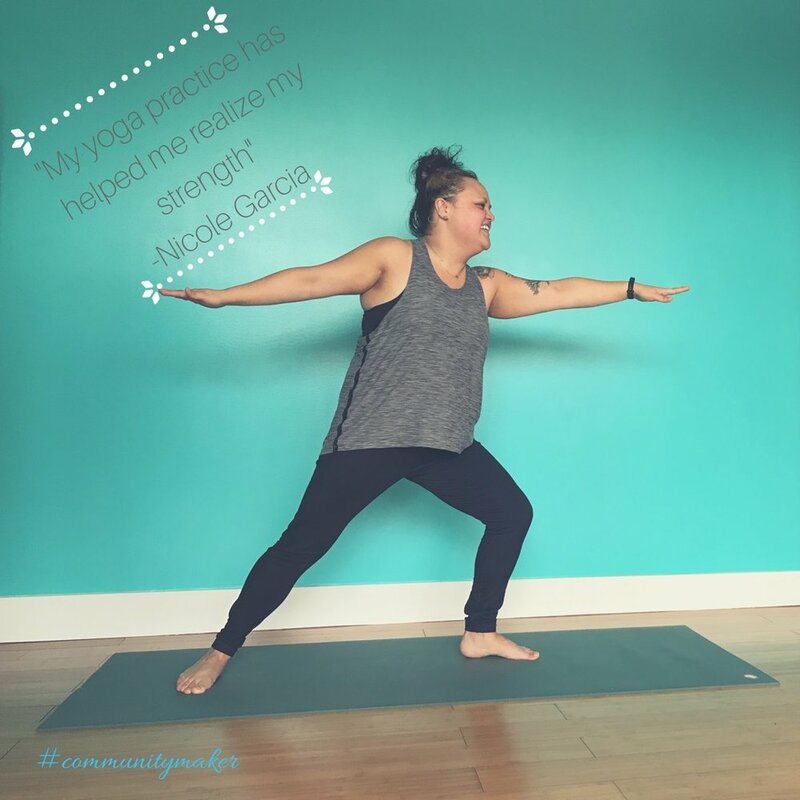 My yoga practice… has helped me realize my strength. The pose I love to hate… standing Splits. Love is… powerful, beautiful, scary, and everywhere (sometimes you just have to look super hard). Community means… so much to much to me.After moving across the country a couple times and experiencing some hard months, I am always amazed, inspired by, and so grateful for the people who help lift me up, who are close and far in proximity, when I feel like I can't move forward. My favorite mantra… she believed she could, so she did. What makes me come alive… helping people. The soundtrack to my life… any pop-punk or emo from the early 2000s!